Foreign tourists are fascinated by our mountains, lakes, rivers, and other natural sites. They come from all over the world to visit Lake Ohrid or breathe our fresh mountain air. That’s why tourism here flourishes all year round, and the number of visitors is constantly on the rise. On top of that, our convenient location means that we connect to the whole region. 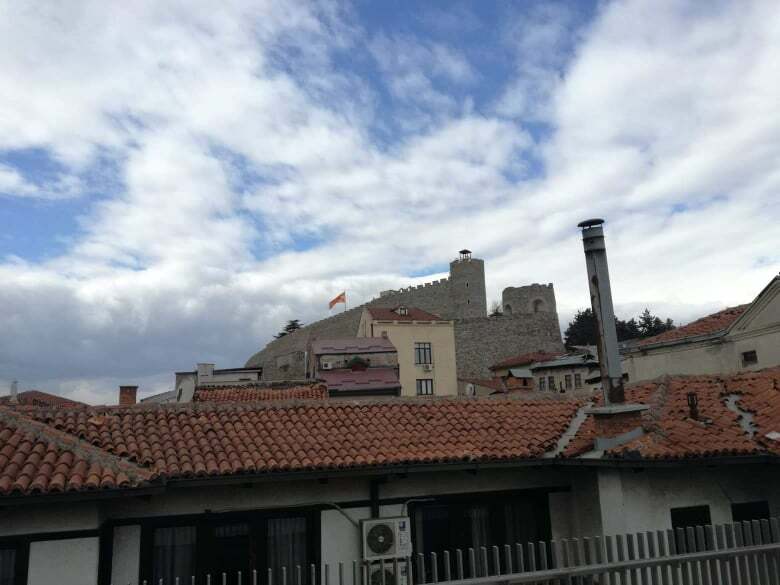 Skopje, 11 March 2019 (MIA) – Foreign tourists are fascinated by our mountains, lakes, rivers, and other natural sites. 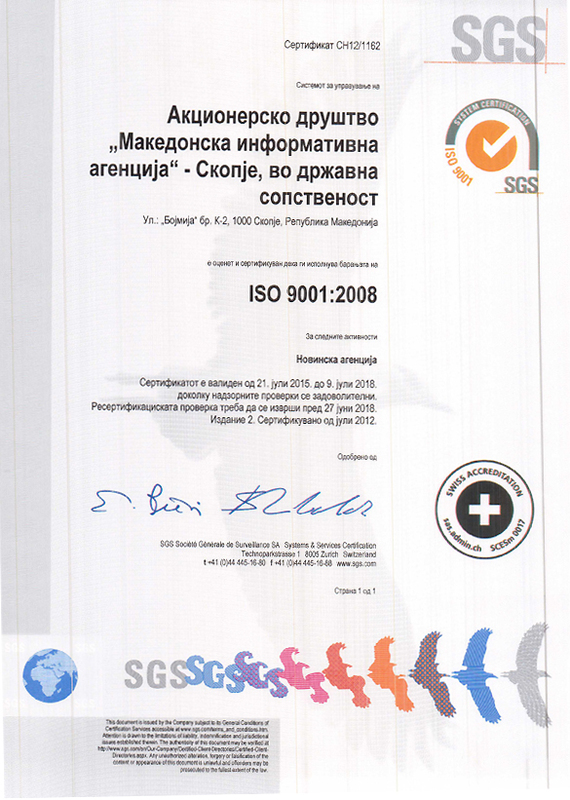 They come from all over the world to visit Lake Ohrid or breathe our fresh mountain air. That’s why tourism here flourishes all year round, and the number of visitors is constantly on the rise. On top of that, our convenient location means that we connect to the whole region. The tourist rate started increasing five years ago, and we noted a ten to 15 percent rise in the number of visitors. The Balkans are still an attractive tourist destination, so this number should continue to grow in the next ten years. But, whether this upward trend persists will depend on what the market will have to offer. Innovation is our main weakness. We have a lot of hotels and restaurants, but we lack fresh ideas. Our focus is on tourism during the summer season. “We’re still mainly focused on tourism during the summer season, spanning from May to September, although we have the capacities to host tourists all year round,” said Branko Bosilkov, President of the Association of Tour Guides of Macedonia. 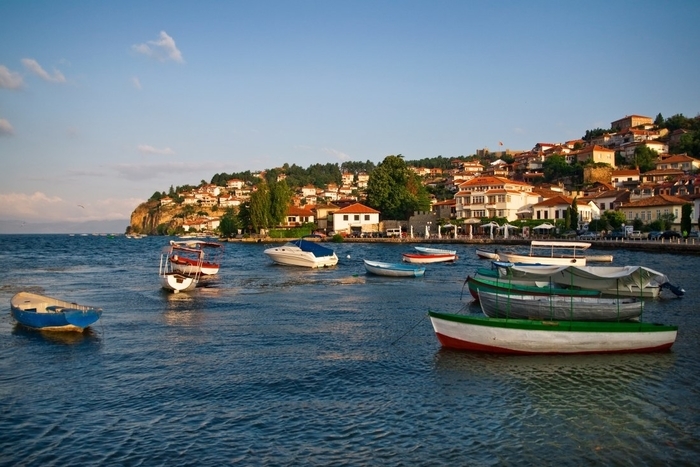 Bosilkov and tour guide Nebojsha Kjamilov said the most popular city in our country among tourists is Ohrid. Skopje is the second city on the list, having even surpassed Ohrid in the number of visitors last year. 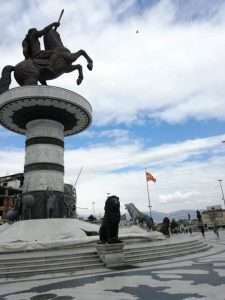 “As the capital and the country’s busiest city, Skopje recently became more popular among tourists,” Bosilkov said. The city, however, is still not adequately prepared to meet all the tourists’ demands. 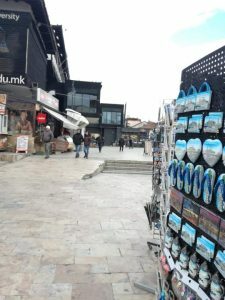 “People are always interested in the history of the city, the Skopje Fortress, and the Old Bazaar. But they also want to see how the city has developed in recent years, the city center and Debar Maalo. The buildings from the Skopje 2014 project are also a popular destination and make a lasting impression on visitors. Bosilkov thinks we need to focus on rural and alternative tourism in the future, as these areas could open up a well of opportunities. Bosilkov, who is also a member of the Agency for Promotion and Support of Tourism, said the Agency seems to lack inspiration. “This might sound a bit harsh, but the Agency seems to lack inspiration. They employ the same old techniques, which mainly includes printing brochures and taking part in tourism fairs and exhibitions. It is the local tourist agencies that do most of the promoting, with no support and innovation on the part of the Agency,” he said. Tourists are attracted by our long and rich history and come to visit our broad array of monuments. It is the guides’ job to present the country in the best light possible. The number of people currently working as tour guides is unknown, and we don’t know how qualified they are for this job, if at all. To become a tour guide, one needs to have the right education, speak at least one foreign language and possess a tour guide license. Being a tour guide is an interesting but challenging occupation. One needs to have broad general knowledge, but also know a lot of specific facts that would interest a particular group of people. “Guides need to have a broad knowledge base and good interpersonal skills, as they come across people of different ages, coming from different cultures. They also need to be able to speak another language fluently,” Kjamilov said. He added that being a tour guide is more of a calling and that not everyone can be motivated to become one. For example, he knew no one in the field when he started working, but he had the right qualifications. A lot of people have the potential to become tour guides; they just need a bit of polishing. Tourist guides have to work in all kinds of weather conditions. They have a lot of responsibilities and a lower income during fall and winter. On the upside, they meet new people daily; travel; have a steady income during the summer, and can practice speaking another language. Kjamilov said most of the tours he works on are seasonal. But he enjoys working outside instead of being stuck in an office and communicating with people from all over the world.